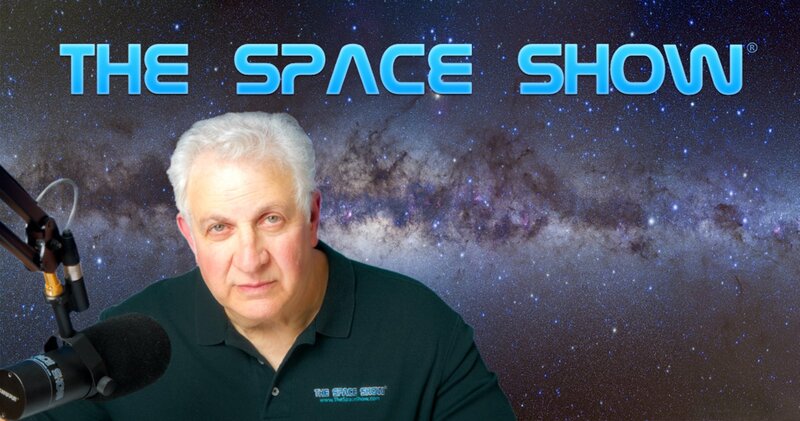 We welcomed back Dr. Paul Davies for this one segment 62 minute wide ranging interstellar, advanced propulsion, and big universe question discussion. We started our discussion by asking Dr. Davies about news reports that some of his graduate students were tasked with looking through Apollo and other mission lunar photos for signs of lunar artifacts. Dr. Davies explained this effort to us so don't miss the discussion. Sadly, so far no lunar artifacts have been observed. Next, we focused on interstellar visitors, fast moving objects such as Oumuamua, comets and the possibility of such fast moving objects being beacons from an extraterrestrial life source. Our guest had much to say about this and the possibility of Oumuamua being just such a beacon so don't miss the discussion. One listener said we should be launching intercept missions to explore these fast moving objects in greater detail but listen to why our guest said this was not likely to happen. What do you think about intercept missions? Should we prepare for and try to do it when another such object is discovered? Let us know by posting on our blog. In addition, the Breakthrough Project and technology was discussed as was more advanced types of propulsion for interstellar flight for something larger than a computer chip. In the same discussion, we talked about looking for technosignatures and biosignatures, what one might look for regarding each group, and do we have the technology to actually discover what we would be looking for in such searches. You might be surprised by what our guest had to say on these topics. After talking about very advanced ideas in propulsion for interstellar travel, Dr. Davies spoke about the Arizona State University Beyond Center. As you will hear, The Beyond Center focuses on the big questions of existence such as the origin of our universe and life plus answering basic and more advanced questions in physics. They have guest lectures, all of which are archived. Furthermore, they have brainstorming sessions among themselves as the scientists wrestle with these big questions just as many of us do. I know I spend lots of time thinking about these big questions and several are prioritize on my bucket list. Following this discuss, we turned to time travel thanks to a listener email. Don't miss how you can hear the lectures and stay up on many of the Beyond Center discussions. Sheila in Albuquerque said she had heard a recent Space Show about time travel and quantum entanglements. She asked Dr. Davies about this. Our guest had much to say on the subject of time travel, also quantum everything including entanglements. He wrote a book n time travel, "How to Build a Time Machine." The book, published in 2003, is still available on Amazon so if you are interested in the subject, this book should be a priority for you. Paul had lots to say about the energy needed to do time travel, also worm holes, super technology, Einstein, and Faster than Light Travel. Don't miss this part of our discussion. Listener Harry from Boston asked if throwing more money at research would get us to results faster. This opened up a new line of discussion regarding both theoretical physics research and experimental physics experimentation with a focus on the difference in cost for both fields of physics. We also talked about cosmology, our guest cited the CERN reactor as one of his examples plus he just might have offered a surprise response to the email listener so do listen to what our guest had to say on this topic. Toward the end of the discussion, Alan asked if optical and radio SETI were the best ways to search for ETC. Paul mentioned another of his books about SETI searches, "The Eerie Silence: Renewing Our Search for Alien Intelligence," also still available on Amazon. Paul suggested other search methods he talked about in his book plus he brought the recent discovery of the fast radio bursts that are getting lots of media attention at this time. Before we ended our discussion, Paul told us about his new book which is available on Amazon UK but will be available later this year in the US, "The Demon in The Machine." We look forward to Paul returning as a guest to the show when this book is released in the U.S. If you want a glimpse of what his new book is about, check it out here: www.amazon.com/Demon-Machine-Paul-Davies/dp/024130959X/ref=sr_1_1?ie=UTF8&qid=1548542703&sr=8-1&keywords=The+Demon+and+the+Machine. Please post your comments/questions on TSS blog for this show. You can reach Dr. Davies through me or his faculty page at Arizona State University. Remember to use the OGLF Amazon portal should you buy any of his books which are available on Amazon as Amazon will donate a portion of the purchase price to The Space Show. Click on the large Amazon button on our home page for details about the two nonprofit Amazon programs and the OGLF portal.